Nothing beats biting into a piece of meat that has been deep-fried in batter, with its crispy coating on the outside and a juicy interior. While deep-frying has gotten a bad rap in recent years due to health concerns when properly done it actually uses very little oil. Here are the ten most popular recipes in which deep-frying is the main cooking technique. Note: New to deep-frying? Be sure to learn how to safely deep-fry food before you begin cooking. 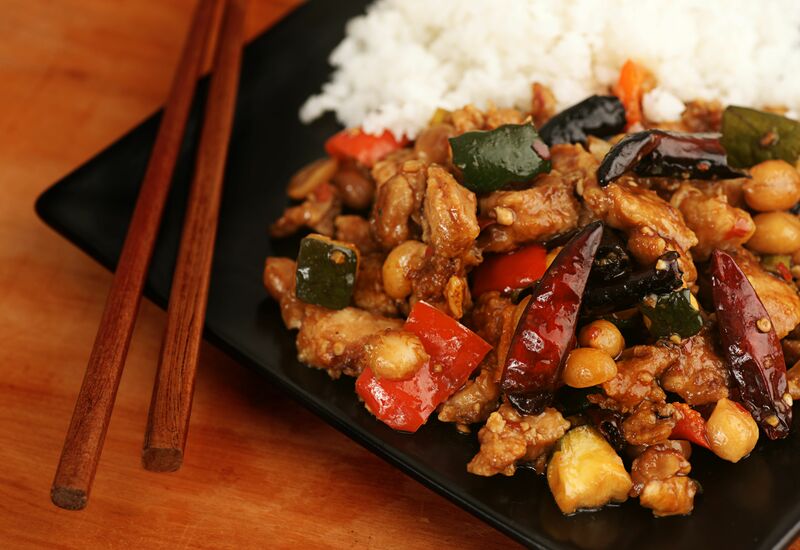 Szechuan's most famous dish, this recipe for Kung Pao chicken combines deep-fried chicken with chilies, peanuts, and a spicy sauce. General Tso's chicken is a tried-and-true Chinese restaurant favorite is based on an authentic Hunan dish that translates roughly as "ancestor meeting place chicken." The western version of Spring Rolls, this recipe for egg rolls is made with barbecued pork, vegetables and oyster sauce and soy sauce for seasoning. Crab rangoon is a perennial dim sum party favorite consists of deep-fried wontons that are filled with crabmeat, cream cheese, and seasonings. From seeds to oil, sesame plays a major role in this popular sesame chicken restaurant dish. Put down the takeout menu and learn how to make this recipe at home! In this recipe, the sweet and sour pork is deep-fried twice for extra crispiness. The sweet and sour sauce is made with vinegar, sugar, pineapple juice and ketchup. The signature dish of many Alberta Chinese restaurants, ginger beef consists of beef that is marinated in ginger juice, deep-fried twice for extra crispiness, and then coated with a sweet and sour sauce. Delicate spring rolls are filled with shredded pork, shrimp, Chinese dried black mushrooms and garlic chives. Lobster tails are deep-fried and then stir-fried with savory black bean sauce in this popular lobster Cantonese dish. Last but not least, another favorite appetizer recipe is fried wonton. Wonton wrappers are filled with ground pork and seasonings, deep-fried and served with sauce for dipping. The recipe includes dipping sauce suggestions. Why Is Cornstarch Often Used in Chinese Stir-Fry Marinades?